The RSPCA has been helping to inspire the next generation of animal lovers for many years, by supporting those working with young people. But the world is changing and the challenges facing both animals and young people are changing with it. Children today are being exposed to shocking levels of animal cruelty. Nearly a quarter of school children aged 10-18 have witnessed animal cruelty and neglect on social media and a further 3% first hand. In response to this we launched Generation Kind, our biggest ever education and prevention programme aimed at children. 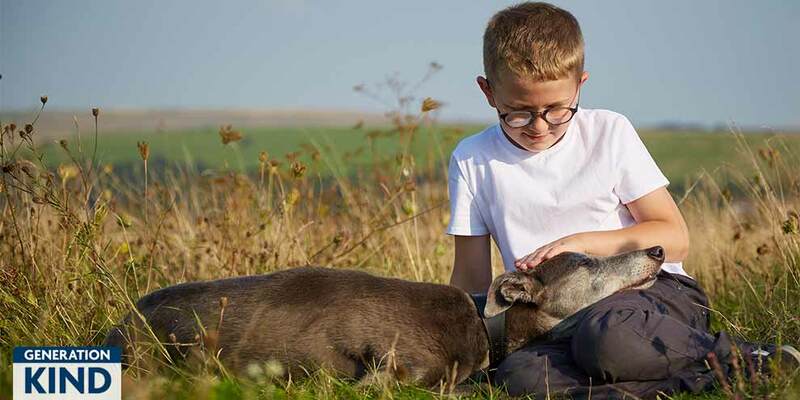 Generation Kind is a set of ambitious, innovative projects that aim to foster kindness and compassion towards all animals within children. In this way, we can create a future that is truly kind to animals.